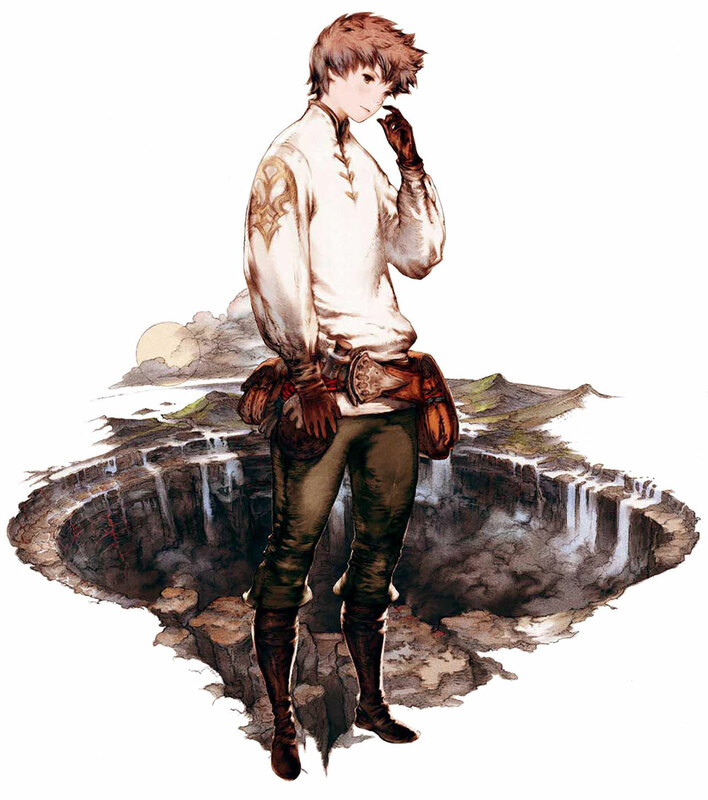 Bravely Default has proven to be more than a fun gaming experience, it’s been downright refreshing. It challenges current RPG conventions by giving the player a kind of freedom that I haven’t experienced since my days playing SNES and N64 games– but it does so in a refined, modern fashion. 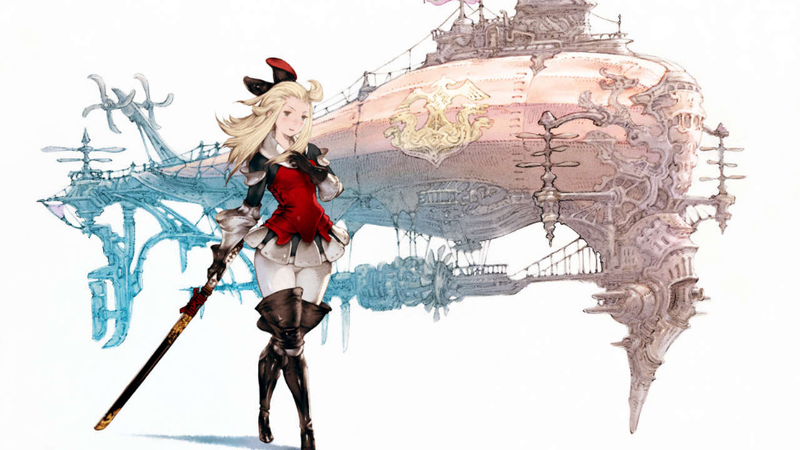 Bravely Default harkens back to traditional RPG tropes that older gamers will be all too familiar with: restoring crystals, recognizable archetypes (with a twist), and save-the-world action, but it does so in a self aware fashion. Immediately, the first villain we encounter is a scantily clad white mage with a sharp tongue. This shows how the game’s creators knew how to work with and break the traditions in which the genre is informed by. Since when are white mages anything but pious and proper? And her Monk companion, instead of being thoughtful and stoic, is… well… an oaf. 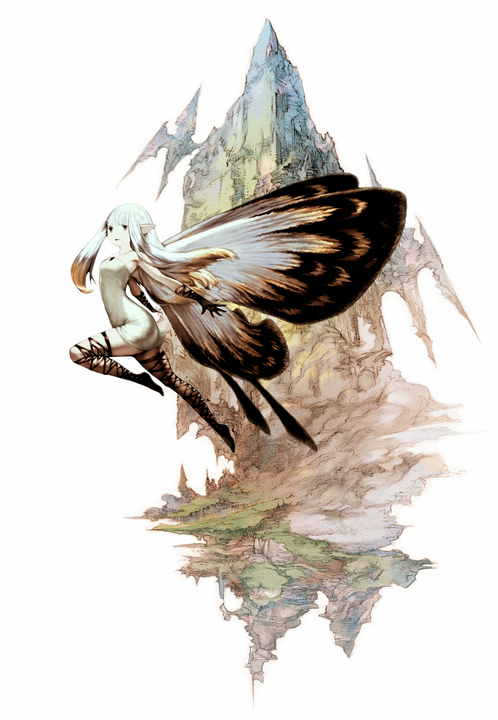 This isn’t what makes Bravely Default so innovative though. What makes it especially smart is actually a very small part of the game. In fact, it’s not even part of the gameplay. It’s simply a menu. 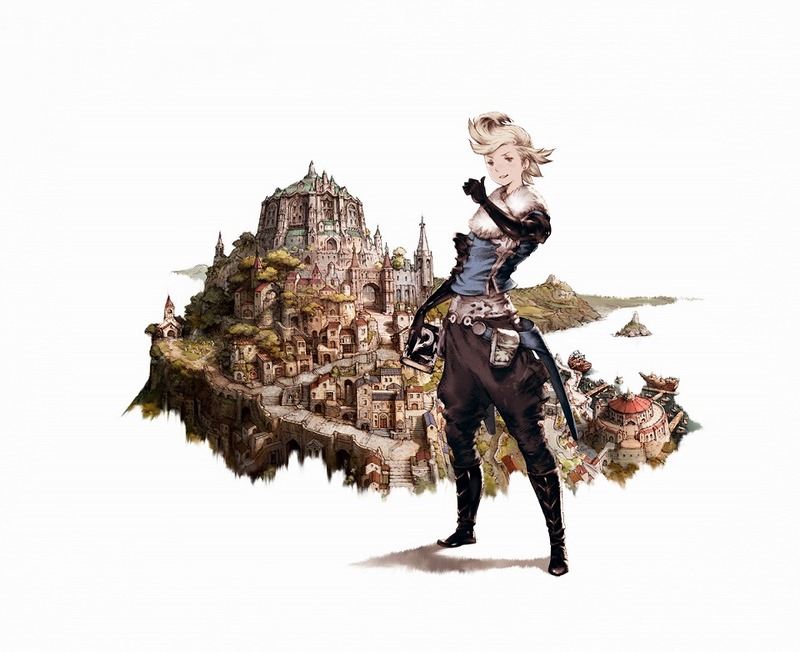 Bravely Default’s configuration menu allows the player to alter their difficulty settings in a number of ways to customize their gaming experience. The simplest option is to shift from easy, normal, or hard mode at any point in the game. This feature isn’t unheard of though, and has been an option in other games before BD. However, the player also has the freedom to tweak their encounter rate. You can choose to encounter no battles, or make your encounter rate so high that virtually every step you take results in a fight. Typically, “no encounter” options are rare items that you don’t find until late in the game. This is the first instance I can think of there the option had been available from the outset. If you just need to grind for a while, set the encounter rate to max. Want to quickly run back to town? Turn off random battles. It is delightfully convenient. You can also choose to only gain EXP or JP during battles, meaning that if you want to grind to increase you job levels and unlock new abilities, you can choose not to over-level your characters by simply turning off the EXP setting. This keeps the game challenging, but gives you a ton of freedom to explore every class. These freedoms allow you to customize rules for yourself. Maybe you want to only allow yourself a certain number of levels per area of the game to play a “super challenge run” so to speak? The player has near total control of how overpowered or under-powered they want their party to be. This configuration menu is a thing of beauty. The general trend in modern games is to baby the gamer. They over-explain concepts with tutorial after tutorial, and limit our options and freedoms in game. This suggests that game makers think little of our intelligence, and while I’m positive it’s not that simple, it does get quite old. This little menu signifies a shift in how game makers treat the gamer. This kind of freedom to customize one’s gaming experience means the creator trusts us to know how we want to play our games, instead of making the majority of decisions for us. It’s not just this menu that signifies this shift, it’s also the class system and difficulty level. The class system allows for customization. It gives you the option to set a secondary class, meaning that even though you are a white mage, you can choose to set black mage abilities that you’ve already learned as a secondary class. The abilities are occasionally complex, meaning the gamer can choose to get creative with strange class combinations and abilities, or stick to more straight forwardly offensive classes. It reminds me a lot of Final Fantasy Tactics and FInal Fantasy X-2, which both contain my favourite job systems to this day. And boss fights? They are actually challenging. I walked into the first boss fight all confident in myself. “Who cares if I haven’t even leveled up once yet?” I thought to myself. “It’s the first boss fight, they never present a real challenge.” And then when I realized I was probably going to get spanked, I turned off the game and bothered to increase a level or two. 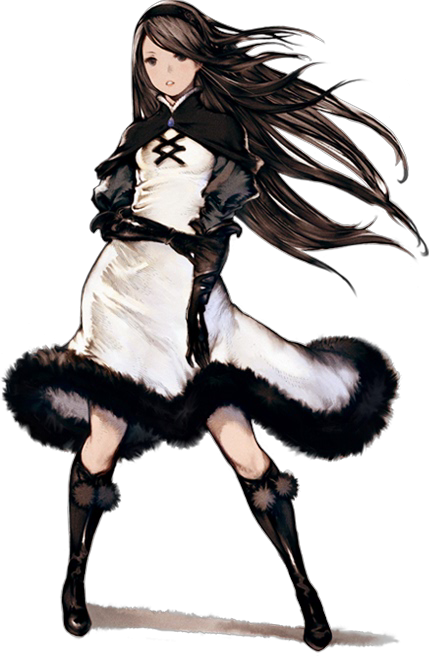 As a consumer, I want more of what Bravely Default has to offer: Choice, customization, difficulty, and adorable dialogue? I love adorable yet challenging and clever games…. Thanks for all the info! May have to pick this one up once my current persona 4 golden obsession has passed. Glad this was useful! I need to give Persona games a whirl still- thanks for putting that back on my radar! 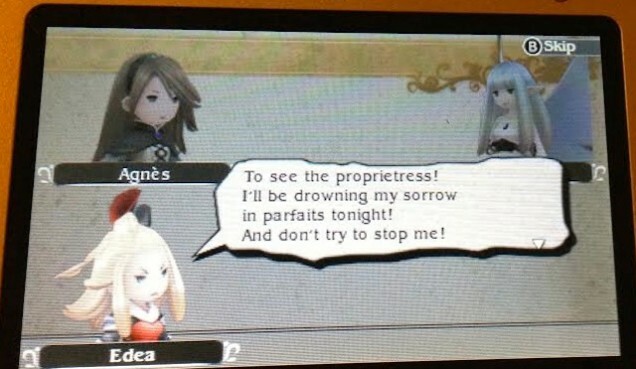 I adore Bravely Default. The costumes and summons are a nice twist on what I assume is the FF IP. Setting the encounter rate to 0 when I just want to get across the desert is So Nice. From what I’ve seen so far I definitely agree!Bravely Default is a new fresh RPG experience that has one simply can’t run away from. I starte playing this last week and wow.